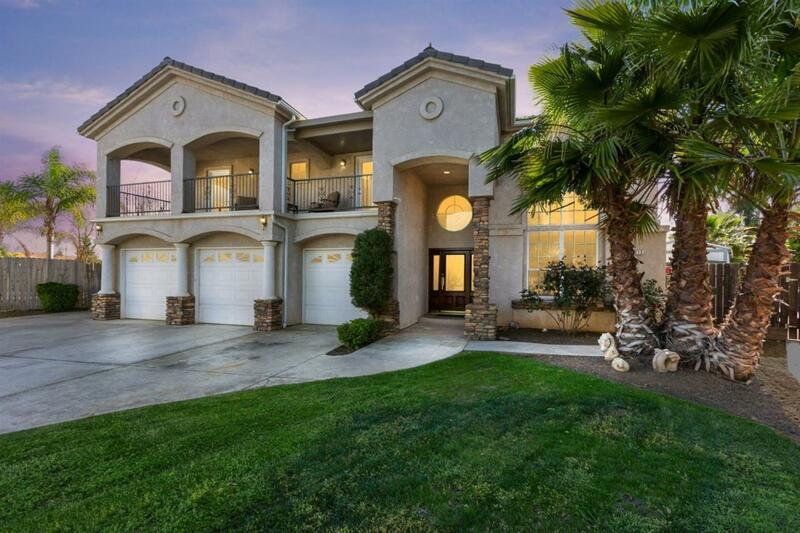 Everything you're looking for is right here in this beautiful Northeast Fresno home! 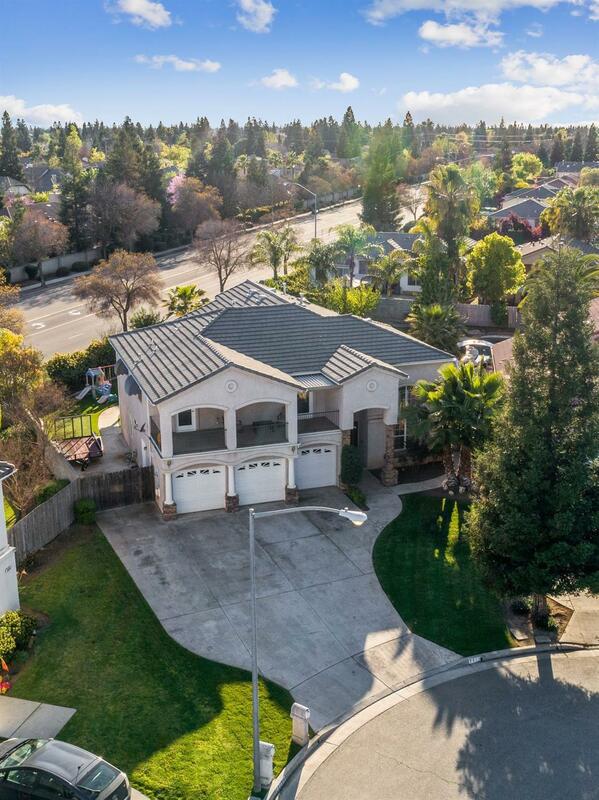 Located on a huge cul de sac lot, feeding in to the highly desirable Clovis North High School, you'll enjoy a massive backyard oasis with a sparkling pool, covered patio, RV parking and two Tuff Sheds. Upon entering the home, you'll be greeted with a grand spiral staircase and a large family room. Continue on downstairs through the kitchen, living room, laundry room, guest bathroom and one of two master suites. The entire lower level is finished with elegant and durable wood plank tiles. Venture upstairs to the master suite featuring a dual sided gas fireplace, crown molding soaking tub, separate shower, walk in closets and a private patio overlooking your backyard oasis. 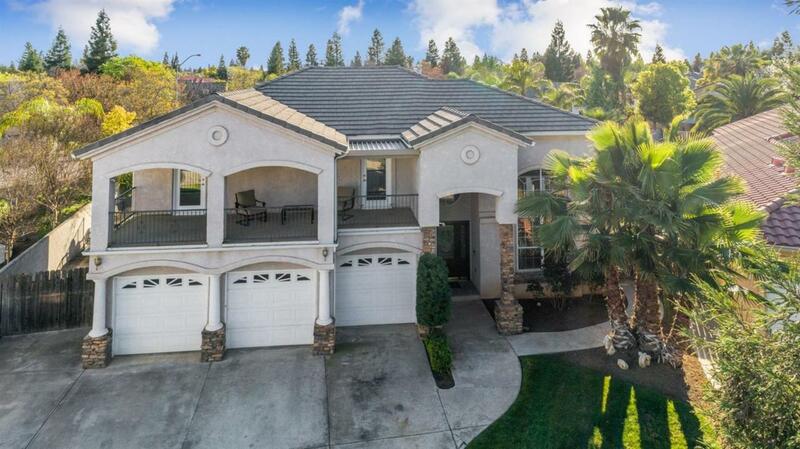 The list of features and upgrades go on and on 3 car garage, custom blinds, wifi controlled sprinklers, touch screen thermostats, instant hot water and security cameras, to name a few. Don't miss out, make your appointment today!